*Free month applied in second month of occupancy. Terms and conditions apply. Programs, prices, specifications subject to change without notice. See leasing representative for details. For pet-friendly homes that don’t skimp on style, choose Widdicombe Place apartments and penthouses as your new home. Our luxury apartment community has a home for you, no matter how much space you need. 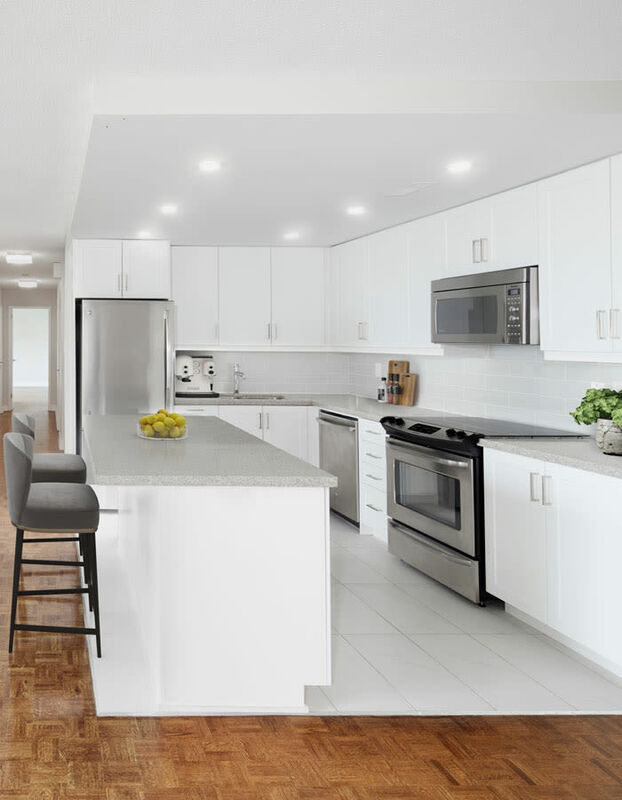 If you’re in the market for a cozy yet contemporary one bedroom apartment, pick one of our beautiful one bedroom floor plan for rent in Richmond Gardens. Our two bedroom apartments for rent offer even more room for you to spread out and get comfortable. If what you really need is lots of space to make your own, you’ll love our spacious three bedroom apartments for rent. Each luxurious floor plan is finished with gorgeous spaces and a chic kitchen that bring a custom-home feel into your modern resort lifestyle. The one, two, and three bedroom apartments at Widdicombe Place are available in several beautiful layouts, including penthouse apartments with stunning views of the community and beyond. No matter which floor plan you choose, you’ll enjoy an all-access pass to robust community amenities, as well as a contemporary apartment home designed for modern comfort and everyday living.